The 3D-printing industry experienced a year of transformation in 2016, as niche market pioneers Stratasys Ltd. (SSYS) and 3D Systems Corp. (DDD) were joined by HP Inc. (HPQ) and General Electric Co. (GE). 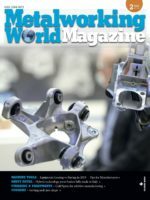 The entrance of larger, more-established tech players worked to legitimize an industry revival based on pushing additive manufacturing for industrial clients, in order to cut costs and improve efficiency in the production process. Rock Hill, S.C.-based 3D Systems, which saw its stock rise 62% in 2016, instated new Chief Executive Vyomesh Joshi, who decided to cut the firm’s consumer business altogether. Eden Prairie, Minn.-based Stratasys Ltd., while also bolstering its alliances with industrial clients, particularly those in auto and aerospace, continued to build out its offerings in the consumer space with products targeted at educators, engineers and designers. Moving into 2017, we can expect prototyping and advanced digital manufacturing solutions to stay at the forefront of 3D printing growth. Regarding an overall slowdown in demand for enterprise 3D printers, which some players attribute to overcapacity in the market, analysts are uncertain when demand will revive. Players such as Stratasys will continue to focus on improving gross margins and op timizing cost structure.